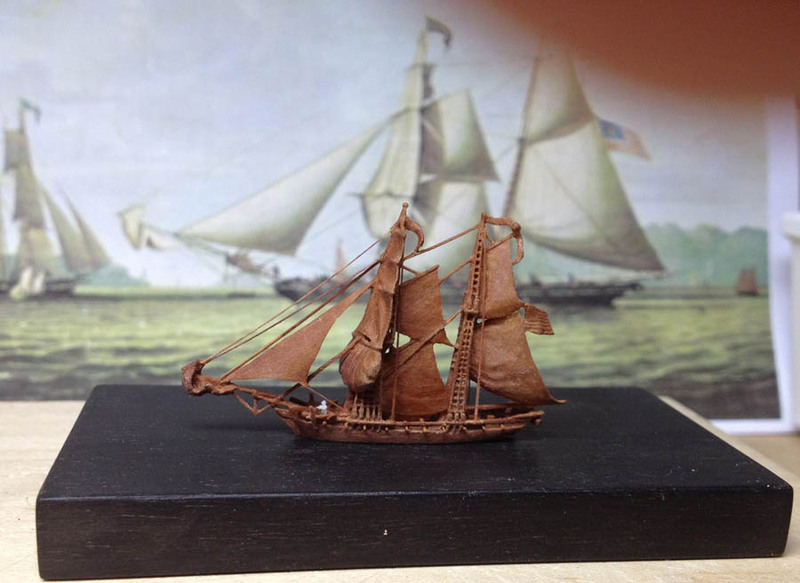 Extremely small ship model in scale 1:1250 created by marine artist Alexander Scherbak. 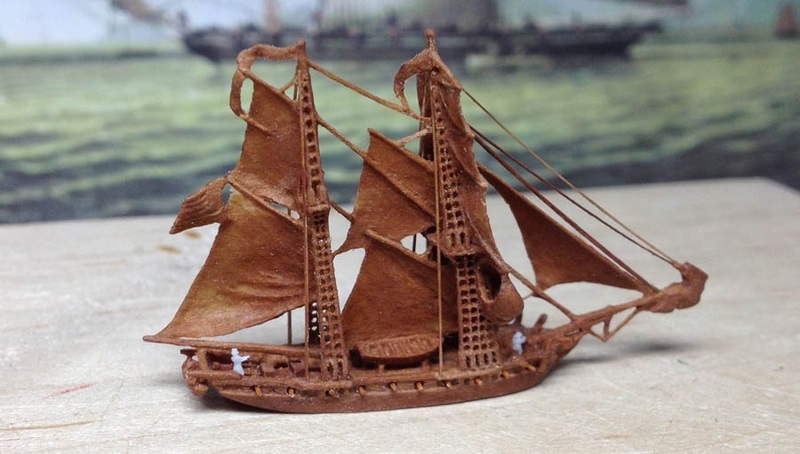 This model is not built up, but instead carved from solid piece of Swiss pearwood, with addition of gun barrels, anchors, and some rigging lines (back stays) -all from wood. Sails are thinned to light-passing thickness. 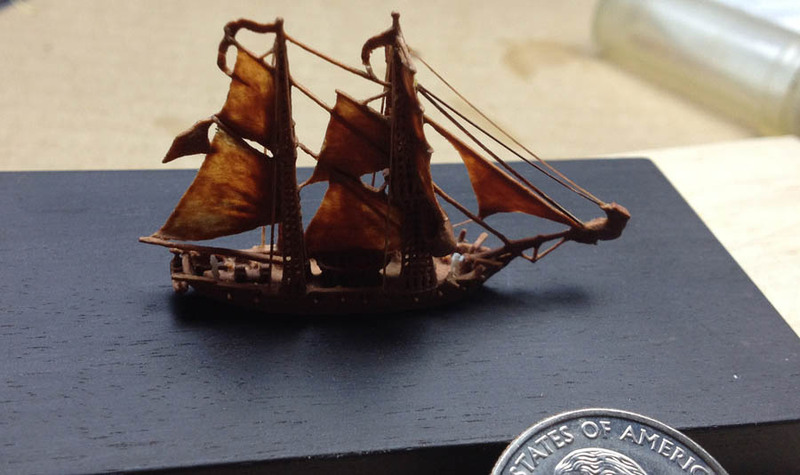 Tiny sailors are carved from elephant ivory. 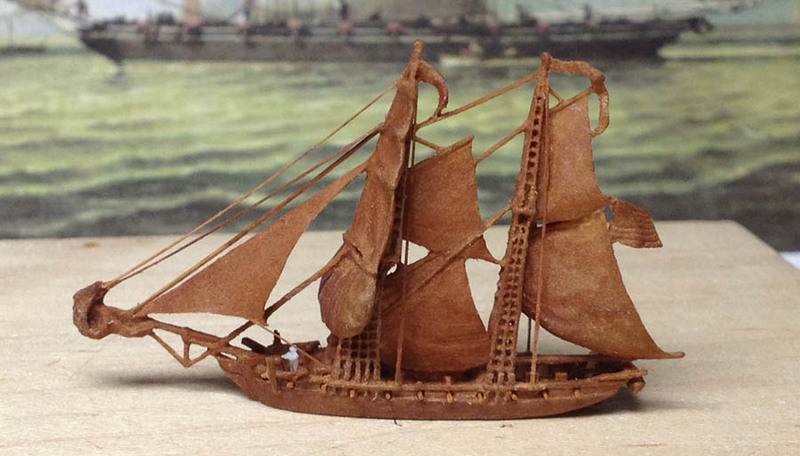 This miniature was made after unsigned painting from Peabody Museum collection:American Privateer RAMBLER in the Pearl River, China, in 1814. (Oil 19 1/4 x 29 1/4 in.). The ship was built 1813, Medford, Mass., 318 tons.